Notley fights for long-awaited cancer care. It’s one thing to promise a new Calgary Cancer Centre. It’s another thing to build it. 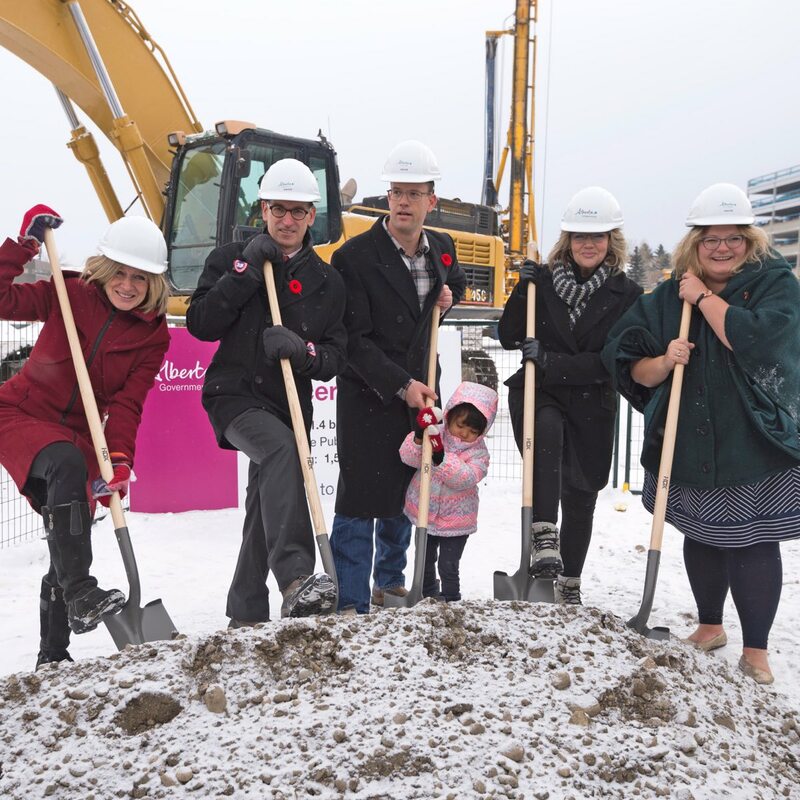 On a snowy day in late 2017, Rachel Notley stood beside patients and officials to shovel dirt during a groundbreaking ceremony for a new state-of-the-art facility at the Foothills Hospital campus in northwest Calgary. Construction remains on track with an anticipated opening of 2023 for the facility, which will have ample space available for comprehensive cancer treatment and cutting-edge research. Designed in part by patients and Cancer survivors, the $1.4-billion facility will have 160 inpatient beds, more than 100 chemotherapy chairs and 12 radiation vaults. As one of the largest construction projects in Alberta, it also promises to add 1,500 construction jobs for Calgary over its six-year construction. The centre fullfils a promise made by the Alberta NDP in the lead up to the 2015 election. Notley vowed to build a single centre, as a more efficient and effective way of treating cancer in Alberta’s largest urban centre. The UCP has not yet said they would cancel the construction project if they were to take office, but advocates for the centre were outraged when UCP MLA Glenn van Dijken called the facility “a fancy box” shortly after the groundbreaking. For Notley, the new Calgary Cancer centre is more than a commitment. It’s a long overdue decision that will help families. "We all know the pain of losing loved ones to cancer,” Notley said. “As Albertans, we need to stand together and fight for our loved ones."